Glossophobia – What is it and how to deal with it? 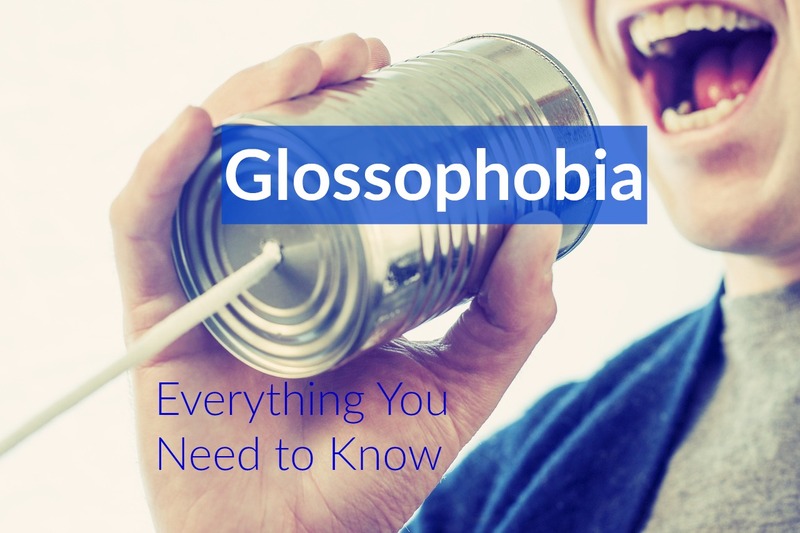 Home » Blog » Glossophobia – What is it and how to deal with it? Many people fear to speak in public or performing at events. However, when you have an extreme fear of public speaking, it’s referred to as glossophobia. However, when this fear becomes significant enough to result in problems at school, in social settings, or at work, then you may be dealing with full-blown glossophobia. Unfortunately, having glossophobia can result in embarrassing situations, and you may even find yourself completely avoiding these types of situations. At work, your inability to speak and make presentations may result in professional setbacks. Fear of public speaking may keep you from making a speech at a birthday party or wedding for a loved one. This phobia has the potential to affect every area of your life! However, you may not have the symptoms of other social phobias, such as a fear of interacting with new people. It’s even possible for glossophobia to occur even if you’re only in front of a few people. For example, kids may fear being called on in class to provide the answer to a question. At work, people may fear being asked to comment in a small staff meeting. Many people find that they experience panic attacks before speaking, which may be accompanied by trembling or sweating profusely. For some, dry mouth suddenly occurs, making it extremely difficult to talk. A tension in the neck and vocal chords is very common as well and may leave sufferers with a quivering, quiet, or very weak voice when they do try to speak. The feeling that there is a lump in the throat is very common as well, and in some cases, people may completely lose their voice. The panic that often comes with glossophobia can contribute to an increased heart rate and high blood pressure. (5) The pupils may dilate and the increase in blood pressure may result in a headache. Nausea and vomiting may even occur in people with extreme glossophobia. Glossophobia can cause a variety of physical and emotional symptoms in sufferers. However, what actually causes this phobia? 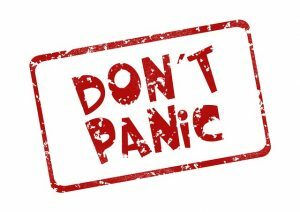 Since many people try to cope with the fear of public speaking by avoiding it, this may result in a normal anxiety turning into a larger problem with glossophobia. It’s very common for individuals who have glossophobia to have low self-esteem. They may constantly seek the approval of others, expect themselves to be perfect, or may expect themselves to fail. A lack of self-confidence is also very common among individuals who deal with this phobia. Dealing with glossophobia can result in some complications. Most careers will require some type of public speaking, whether it’s providing presentations to clients or getting involved with company meetings. With a severe case of glossophobia, you may find that it’s difficult or even impossible to perform these essential tasks on the job. Unfortunately, this can lead to some serious consequences and could even result in job loss in some cases. Over time, glossophobia may result in feelings of isolation, which is what can increase the risk of developing other conditions. While glossophobia may leave you feeling like there is no way to deal with public speaking, methods of treatment are available. Multiple treatment methods can be used to help you cope with the phobia. Cognitive behavioral therapy also focuses on training you in relaxation techniques that can help you deal with a panic attack effectively. Therapy also involves eventually confronting the fear of public speaking in a controlled, safe environment. However, in most cases, these medications are used along with therapy instead of on their own. Certain herbal remedies may also be used to help calm your nerves before you speak, such as passion flower, lavender, and lemon balm. Some people find that just smelling these herbal remedies helps calm them so they can overcome their fear before a public speaking event. Overcoming fear to speak in public is possible, and you can take some steps to overcome this fear. » Tip #1 – Practice Regularly – The more you practice for speaking in public, the more comfortable you are going to be. Start by practicing a presentation in front of a mirror. You can work up to doing it in front of people with whom you are comfortable. Get their feedback and keep practicing. You can even video yourself to get a better idea of what you can do to improve. » Tip #2 – Know Your Topic Well – When you feel confident in what you are speaking about, you are less likely to have difficulty talking about it. Knowing your topic well also ensures that you can recover quickly if you have a mishap, get lost, or you deal with nerves when making the presentation or speech. » Tip #3 – Use Positive Thinking – Think positive thoughts before you speak in public. Visualize speaking and having the speech go well. With positive thinking, you can reduce negative thoughts and reduce some of the anxiety you feel about speaking in public. » Tip #4 – Take Deep Breaths – If you are dealing with a panic attack, sweating, or other symptoms of glossophobia, simply taking some deep breaths can help. Deep breathing will calm your body, lowering your blood pressure and your heart rate. Take at least three deep breaths before you stand up and deliver a speech and it will help calm you down so you can speak effectively. » Tip #5 – Consider Some Support – You do not have to work on overcoming glossophobia alone. Many people are struggling with the same problem, and you can easily find support to help you overcome your fear. Support groups are available for people who have problems speaking in public, such as Toastmaster, which is a nonprofit organization that helps train individuals in leadership and speaking skills. Find a local chapter and get involved. Other local support groups and clubs may be available to help you get the support you need as you work to overcome glossophobia.